Leading Manufacturer and Supplier of Fire Fighting Accessories such as CP Hose, Fire Fighting Hoses, Fire Sleeve Hose and Fire Hose from Mumbai. Keeping pace with variegated requirements of clients, we are manufacturing, supplying, wholesaling, trading, retailing and exporting a wide array of CP Hoses. 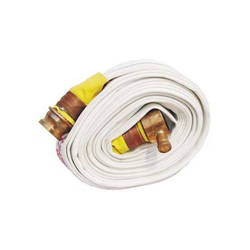 These continuous percolation hoses help in fire fighting. Our qualitative range ensures continuous percolation of fluid from the wearer's jacket in a controlled manner. Furthermore, we customize these products as per the requirements detailed by patrons. 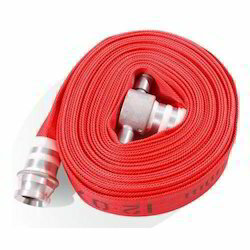 We are engaged in manufacturing, exporting, trading, wholesaling and retailing a wide range of Fire Fighting Hoses. Used in different industries for handling of raw products, these hoses are widely demanded across the globe. Moreover, providing customization for these hoses, we have mustered huge client-base and gained respectable position. 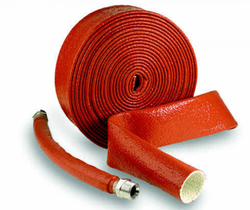 Meeting the demands of clients as a manufacturer, exporter, trader, wholesaler and retailer, we are engaged in offering our clients with Fire Sleeve Hose. Dense in texture, these hoses are ideal for multiple industrial applications, owing to which these are widely demanded across the worldwide market. 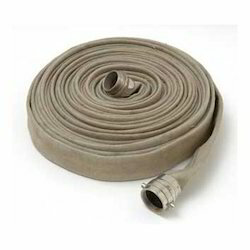 To suit the demands of customers, these hoses are available in different lengths and thickness. Successfully catering to the demands of clients as a manufacturer, exporter, wholesaler, trader and retailer, we are engrossed in providing our customers with Fire Hose. Manufactured with the aid of modern machinery and technology, these hoses are widely appreciated by our esteemed customers. Available in different specifications, these hoses are offered at industry leading prices.